Are Australian solar patents up to scratch? It appears that the quality of solar patents by Australian entities has declined in recent years. It is universally accepted that a high quality patent is more desirable than a low quality patent. A high quality patent may provide immense leverage in commercial negotiations, protect the underlying technological concept broadly and robustly, and have a higher monetary value associated with its sale or licence. Typically, high quality patents are for inventions having higher foundational and lesser incremental characteristics, which correlate with the sophistication of the protected technology. High quality patents may also have a higher value to academia and research. Put simply, the quality of the patents an entity has is an important measure of its commercial readiness. We have investigated the quality of patents related to solar technologies (“solar patents”). The quality of solar patents by Australians generally is compared to that of solar patents by others elsewhere. We have also determined the highest quality Australian patents and the associated inventors. Patent quality means different things to different people and can be difficult to quantify. Many methods of measuring patent quality have been proposed, each method corresponding to a respective definition of quality. Each method places a different weight on each of the aspects that collectively constitute patent quality. However, most methods use for their base information relating to the number of times a patent has been cited during prosecution of a latter filed patent. A patent that discloses a technology with strong foundational characteristics is likely to be cited during the prosecution of a latter filed patent that discloses incremental advances on the same technology. Often, the foundational patent will force down the scope of protection afforded by latter filed patents. Thus, patents with high citation counts generally provide broad and robust protection. Patents that are cited often are also likely to involve a technology that is highly relevant to the needs of industry, and may well protect a ‘keystone’ technology that others need access too. The metric for patent quality used here is the number of times a patent has been cited. Separate to this study, Griffith Hack has developed a more comprehensive and sophisticated algorithm for determining patent quality using citation data, which involves an analysis of the network formed by patent citations. A network analysis may provide a better result. The metric used here, however, provides, with relative ease, a sufficiently accurate determination of patent quality trends. We have restricted our analysis to US patents filed by Australian applicants and applicants from other countries including the US. We have done so because the patent citation data held by the United States Patent and Trade Mark Office is superior, thus facilitating our approach. The trends observed are thus a highly accurate representation of the situation in the US generally. We also believe that the results can be extrapolated globally because the US solar market is a fair enough representation of the global market. Griffith Hack patent searchers searched the US patent database through the Thomson Innovation platform provided by Thomson Reuters. The search included both granted patents and published applications filed from the year 2000 and was based on a keyword and IPC mark search query targeting solar photovoltaic and solar thermal technologies. Altogether around 35,000 individual patents were found. Figure 1 shows the average number of times a patent from each of several countries is cited, between the years 2000-2010. The countries represented in Figure 1 are the 10 best performing countries and China. Patents from the US are on average cited the most, at 2.9 times per application. By this metric, US solar patents have on average the highest quality. Broadly speaking, the “tier 1” countries with more then 2 citations per patent on average are the US, Great Britain (GB), Japan (JP) and Germany (DE). 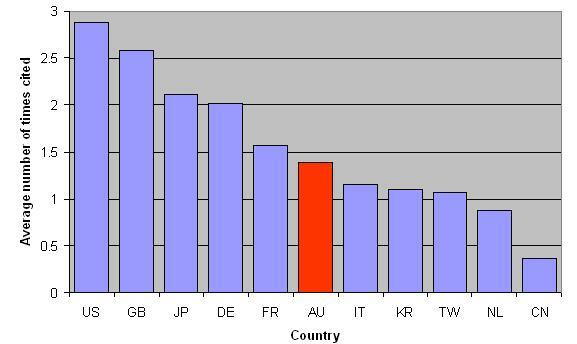 The “tier 2” countries with more than 1 citation per patent on average are France (FR), Australia (AU), Italy (IT), Korea (KR), and Taiwan (TW). Over the period considered, Australia was ranked 6th for patent quality. China is included because of its emerging status and enormous potential as a manufacturer. The number of US solar patents filed by Chinese entities rose from 1 in 2000 to 118 in 2008, a rate of growth far in excess of that of any other country. However, the patent quality is still low, at around 0.36, and the overall number of US patents filed is a very small proportion of all the patents filed (US and Japan combined filed 1,800 patents in 2008). Thus, Chinese patentees are unlikely to greatly shape solar innovation in the near feature. Figure 1. Average number of times a patent from each of several countries is cited. 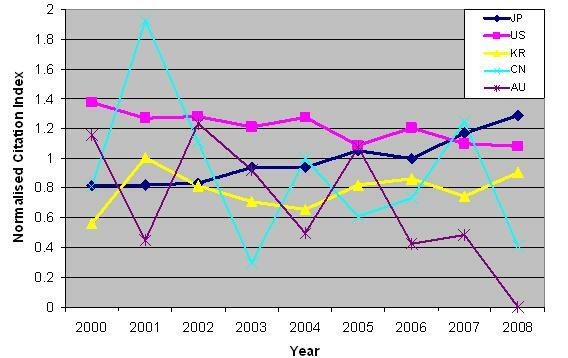 Figure 2 shows normalised average citation index data for US patents by entities from Japan, the US, Korea, China and Australia, between 2000 and 2008. This graph indicates how patent quality has changed over time. Younger patents are less likely to be cited than older patents. To control for this age bias, we have divided, for each year, each country’s average number of citations per patent by the average number of citations for every patent. The data from 2009/2010 is not yet fully available and so these years have not been considered. The general trend for Japan is for increasing patent quality, for the US decreasing patent quality and unchanging for Korean patent quality. Australia appears to have declining patent quality. The normalised citation index for Australian patents may increase as the patents age, however. The uncertainty of the results with respect to Australia (and China) may be significant because the number of US patents by Australian and Chinese entities is quite small. Figure 2. Normalised average citation index for US patents by entities from Japan, US, Korea, China and Australia. 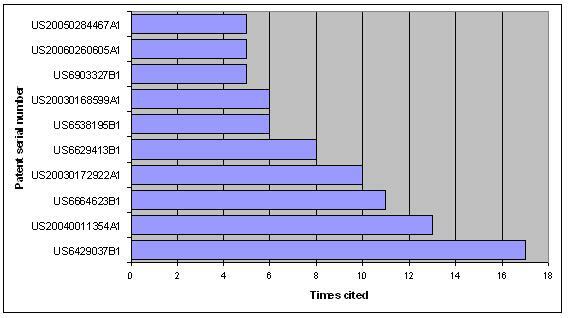 Figure 3 shows the number of patents that cite patents by the 11 most cited Australian inventors. The inventors have been grouped according to the most cited patents. The leading inventors are Martin Green and Stuart Wenham (University of NSW), closely followed by George Phani, Jason Hopkins, David Vittorio and Igor Skryabin (Sustainable Technologies International). Figure 3. The number of patents that cite the 11 most cited Australian inventors. 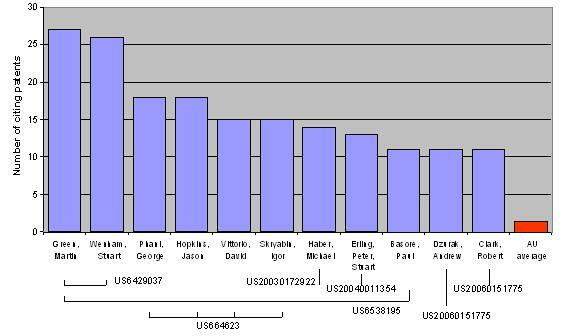 Figure 4 shows the number of patents citing the 10 most cited US patents by an Australian entity. The highest quality patent was US6429037, having been cited 17 times. This makes US6429037 the 712th most cited US solar patent. For comparison, the most cited US solar patent, US6297539B1, has been cited 181 times. Figure 4 shows the number of patents citing the 10 most cited US patents by an Australian entity. Using patent citation data we have made a measure of the quality of solar patents by Australian entities. Overall, Australian solar patents have been of an intermediate level over the last ten years. Disturbingly, Australian patent quality appears to have declined in the last few years. One possible reason for this may be a recent tendency for Australian solar companies to greatly undervalue the importance of patents – which would undermine their competitiveness. Another reason may be that there is a significant problem with solar research and innovation in Australia. Australian policy makers should urgently focus their attention on this problem with a view to ensuring the future of Australian solar innovation. Fortunately, the decline in Australian patent quality is only recent and may be still turned around.